Acai berry is a small, round, deep purple superberry obtained from the acai palm tree, which is native to Central and South America. It contains vitamins and minerals such as; vitamin B, C, K, manganese, copper, iron, and magnesium. These vitamins assist the body in staying healthy and provide a powerful source of energy metabolism to power through your daily activities. Our Acai contains unique compounds including polyphenolic anthocyanin (a powerful type of antioxidant) and plant sterols. Acai keeps you feeling healthy and at your best! This potent berry powder supports a healthy body and is known for its vitality and nutrient-dense qualities. It's a great natural pick-me-up option for whenever you need a quick energy metabolism boost! 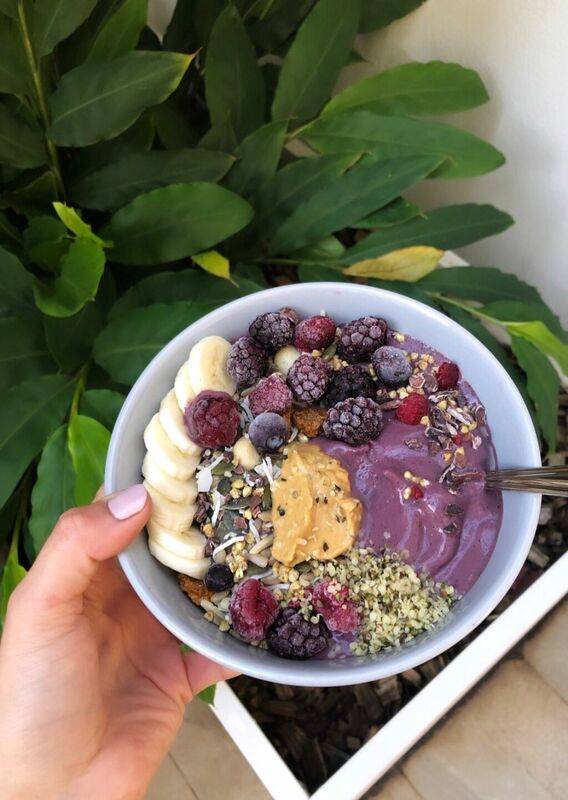 Our nourishing and refreshing Acai comes with a full 5 Star Health Rating under the Australian Health Star rating scheme and is proudly Non-GMO. Acai tastes great and is the perfect addition to turbo-charge your smoothie and smoothie bowls! Enjoy this low sugar Amazonian superberry at any time of the day! What are the benefits of taking Acai? Is Acai right for me? It depends what you’re looking to improve in your life e.g. energy, cleansing, immune-health, toned body etc. Please see our Product Information tab and the benefits at the top of the page. If you’re still not sure then please send us a message via the form on our contact page and we'd be happy to help! View the Product Information tab for a full description. There is a 1-2 business day processing time on all orders. For Australian customers, once your order is shipped please allow 1-3 business days for NSW, ACT, QLD, VIC and SA and 3-5 business days for WA, NT and TAS. For international orders, the shipping time is displayed in the shipping section at checkout. All orders are shipped from our facility in Sydney, Australia. This is by far my favorite product so far from tropeaka! Tastes delish in a smoothie ! An easy and delicious flavour kick to my smoothies - and more cost effective than buying acai sachets. Great, tasty product that I have enjoyed creating açaí smoothie bowls with. Love adding it to anything !